Exhaustive preparations and a recent tournament win are reasons why Wales could get past a round of UEFA Futsal EURO for the first time, coach Richard Gunney tells UEFA.com. 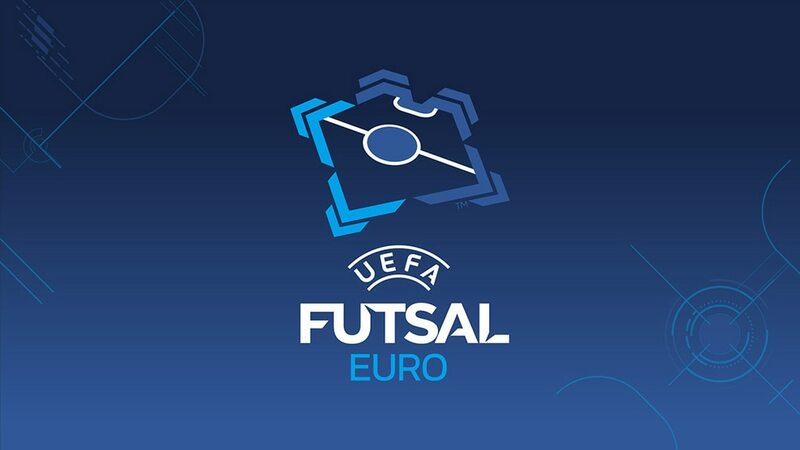 "This is a really good opportunity for us," Wales manager Richard Gunney tells UEFA.com as they get set to host their UEFA Futsal EURO 2018 preliminary round group – in England. Picked to stage Group B, Wales will face Moldova, San Marino and Greece from Thursday at thePoint4 in Hereford, just across the border. But confidence should not be a problem for the talented Welsh side, who last month won the inaugural Futsal Home Nations tournament with victories against Northern Ireland, Scotland and England as part of a calculated plan to prepare for their upcoming European test. "We're pretty diligent in trying to make sure we're well prepared for all our games," said Gunney, in charge since Wales played their first match in 2011. "We've made sure that our fixtures this season have reflected that and also that we have been able to expose the players to a tournament environment. "It was great that we were successful in winning that tournament, but we also put in a strong performance against Latvia prior to that and got a 0-0 draw against a very experienced and strong futsal nation. We're full of confidence and in a really good place. The players have a lot of belief. I think this is a really good opportunity for us and we will be trying to put it all together and execute the performances to get the right results and win the group." The professionalism of Wales's preparations means there will be few surprises for Gunney and his coaching staff when the serious business begins. "We actually went over to watch Moldova play live," he explained. "We wanted to make sure we were completely prepared. Moldova will adopt the tactic of bringing their goalkeeper off and using an extra outfield player, they are very well-drilled at that and use it very often. You can watch teams on video, but we wanted to make sure we hadn't missed anything. We will also watch San Marino and Greece live during the tournament. "We have analysed our opponents and we expect that Moldova will be our strongest threat. Greece will also be strong, and we will have to be professional and give San Marino the respect they deserve, but we're confident we should be able to win all three games." Rico Zulkarnain, 27, is the talisman of the side. Born in Newport, Zulkarnain plays professional club futsal in Australia, and has been labelled the 'Gareth Bale' of his sport. However, Gunney is keen to emphasise that his team is built on much stronger foundations than talented individuals. "One of the defining factors in the home nations tournament was our togetherness," he said. "I'm sure there's going to be lots of ups and downs and twists and turns along the way. We just have to make sure that the players are prepared." And if Welsh attention to detail is anything to go by, they certainly will be. The road to Slovenia kicks off with the start of the preliminary round, debutants Germany and Kosovo among 26 nations vying to join the 21 top-ranked contenders. Germany made a superb debut as they beat England 5-3 in front of a sell-out crowd of more than 2,000 fans in Hamburg's Inselparkhalle, followed two days later by a 3-3 draw.